The first day of spring is March 20th! It's time to start planning your garden! 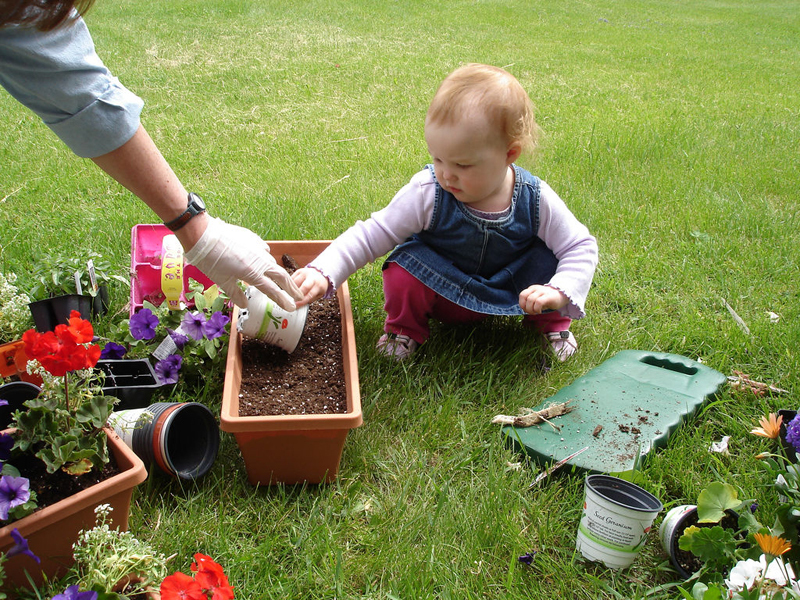 Wouldn't it be great if you could get your children involved in the gardening process? It's much easier than you may think and it's a great activity that your family can do together. Regardless of age, there is something for everyone when it comes to gardening. 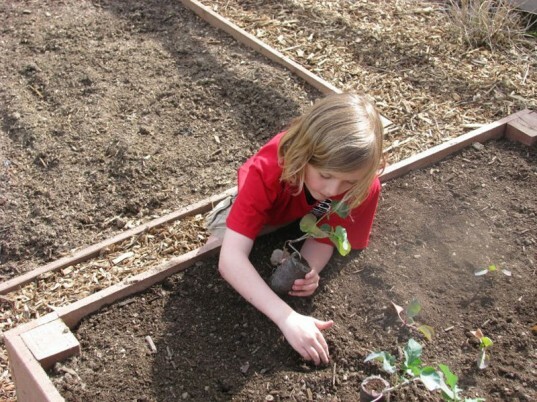 We promise your kids will love digging, planting, and tending the garden, too. Read on to learn my favorite ways to incorporate gardening into your family's daily lifestyle and how to tend to and sustain something much bigger than a garden as well -- by increasing your family bond. Just as with any other project, I always suggest starting with a story. Children love books, especially picture books and surprisingly even as your child gets older they will still find picture books captivating. Choose a selection of books that focus on different veggies you may plant, the process of gardening, and the overall impact that a garden can have on your family, community, and the environment. 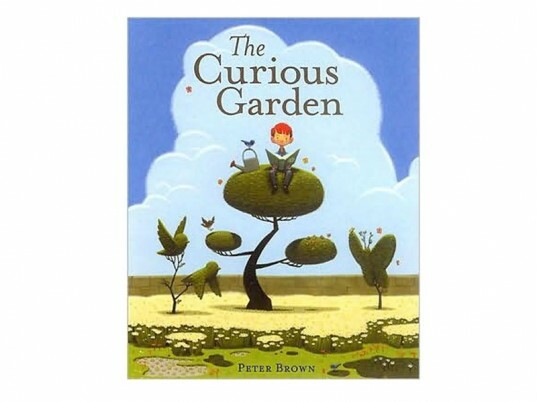 Books can plant the seed of excitement in your child and give her an idea of what to expect from her own garden. When designing your family garden it is fun to designate a special area for each individual in your family. This way each person can plant the vegetables of their choosing and have a specific area that they are responsible for. I suggest choosing an area that is easy to access for smaller children since you will want them to be able to easily plant, water, weed, and harvest their veggies without trampling everyone’s crops. A great way to really get your child excited about gardening is by surprising them with their own kid-sized gardening tools. 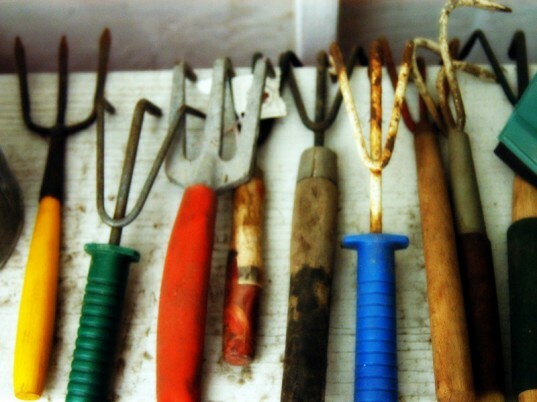 For starters, I suggest a watering can, set of hand tools, garden markers, and a pair of brightly colored gloves. Also, after your child has planted their seeds, give them a set of garden markers to mark which seeds are which. This way, your child will remember where they planted the carrots, cucumbers and tomatoes. And since children love to dress the part, that will show more interest in gardening when they are in full gear. A great way to keep your child involved in the garden, after the seeds have been planted, is by helping them to record their vegetables’ progress. I suggest keeping either a written or photo journal of the growing process. Every afternoon, send your child out to the garden to water, weed, and record the progress of their plants. Your child may want to use a ruler or measuring tape to see how much their plants have grown. These journal entries or photographs can be kept in a binder, so they can see the progress right before their eyes and it makes a great keepsake! When it is time to harvest the fruits of your children’s labor, make it a family affair. Children find anything more exciting when there are others to share the experience with and garden is no exception. Pick the vegetables, wash them, bring them into your home, and talk about the ways that your family will enjoy the vegetables that they grew on their own. If your family garden yields a huge crop of cucumbers, lettuce, tomatoes, peppers or any other goodies, consider sharing it with others in your community. 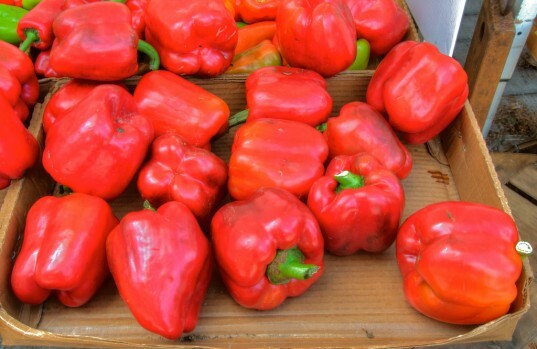 You could share the bounty with your neighbors, family, friends, or even donate them to your local food bank or shelter. One of the lovely things about a garden is that it can really create a bond within your home and your community and teaches your child the importance of sharing in the process. If your child grows a larger than average head of cabbage, pumpkin, watermelon, or squash, consider entering into your community fair. Wouldn’t your child delight in showing off their larger than life vegetable with friends, family, and the community? Another, option would be to auction off this huge vegetable to the highest bidder and donate the proceeds to your favorite environmental charity. When designing your family garden it is fun to designate a special area for each individual in your family. This way each person can plant the vegetables of their choosing and have a specific area that they are responsible for. I suggest choosing an area that is easy to access for smaller children since you will want them to be able to easily plant, water, weed, and harvest their veggies without trampling everyone's crops. A great way to keep your child involved in the garden, after the seeds have been planted, is by helping them to record their vegetables' progress. I suggest keeping either a written or photo journal of the growing process. Every afternoon, send your child out to the garden to water, weed, and record the progress of their plants. Your child may want to use a ruler or measuring tape to see how much their plants have grown. 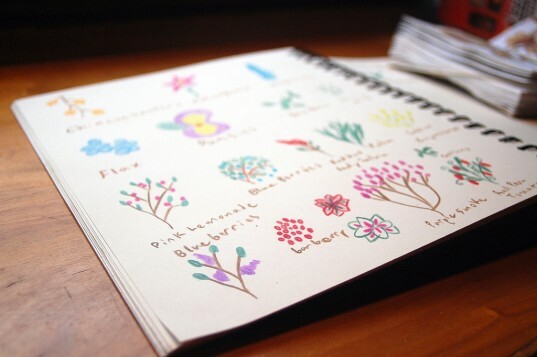 These journal entries or photographs can be kept in a binder, so they can see the progress right before their eyes and it makes a great keepsake! When it is time to harvest the fruits of your children's labor, make it a family affair. Children find anything more exciting when there are others to share the experience with and garden is no exception. 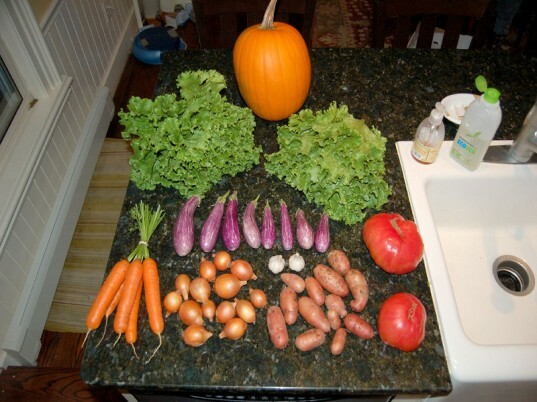 Pick the vegetables, wash them, bring them into your home, and talk about the ways that your family will enjoy the vegetables that they grew on their own. If your child grows a larger than average head of cabbage, pumpkin, watermelon, or squash, consider entering into your community fair. Wouldn't your child delight in showing off their larger than life vegetable with friends, family, and the community? 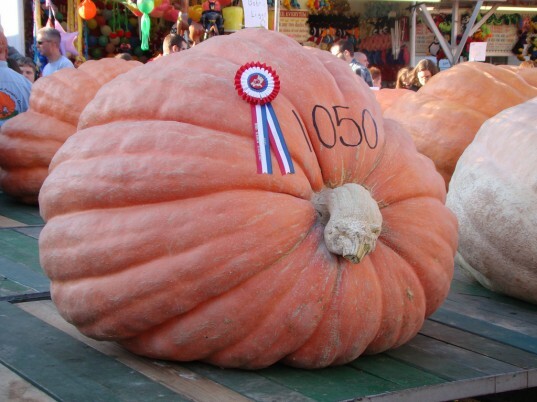 Another, option would be to auction off this huge vegetable to the highest bidder and donate the proceeds to your favorite environmental charity.